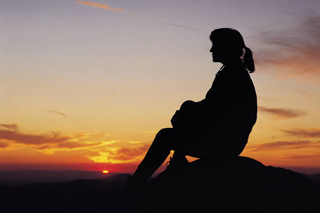 Vision Vocation Guide is full of information when considering a life as a sister. Profiles of communities, personal quizzes to match you to potential communities, links to resources for studying, articles to help you know where to turn when you think you may be hearing God’s call and more can be found here. Catholics On Call supports young people who are exploring their options for ministry within the Catholic Church. Their site hosts information on opportunities available, spiritual reflections to help you decipher that call and much more on their website, which can be found here. The United States Conference of Catholic Bishops website hosts information about vocations. Read more here. The Guide to Religious Ministries publishes an annual directory of information about many religious community. This information can also be seen in profiles on their website here. Are you seeking spiritual reflection and prayer online? 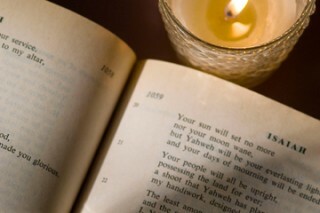 Sacred Space offers daily prayer and reflections. Find many spiritual resources on their website. Read more here. Creighton University hosts this Online Retreat in Everyday Life site. It offers weekly reflections with images for spiritual guidance each week of the year. Begin your journey here. Seescapes online offers a library of free video meditations for your personal viewing. If you’re looking for a nice way to quiet your busy mind and begin a time of spiritual growth, you can find many videos here. Are you seeking a spiritual director who can guide you on this important journey? The Seek and Find Guide can help you find a local resource in your corner of the world by looking on their website here. Busted Halo is home to a wealth of spiritual information for young adults. Creative blogs are here to provide guidance in your spiritual journey and connect you with other young Catholics who may have the same questions and concerns about life. They also offer short, insightful articles and podcasts. View their website here. The Sisters of Bon Secours Vocations office coordinates this annual short-term service project for women. Project Good Help provides the opportunity for you to work alongside sisters and other women who want to help those in need in Baltimore, Maryland and New Jersey. You can help in areas such as a women’s resource center by providing maintenance needs or assisting with healthcare needs, cooking and serving in a soup kitchen, leading games and preparing meals for seniors and more. You will also have time for spiritual reflection, daily Mass and also relaxation. Find out more about this exciting annual program and register here. 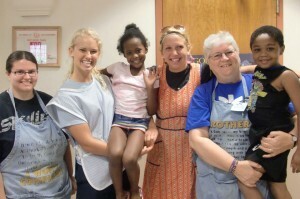 Bon Secours Volunteer Ministry accepts applications from college students and those who have recently graduated and would like to give a year of service in ministry to people in need while living with other volunteers together as a community. Read more about this exciting year of service here.